We always get inspired from our strong bikini department, leading the women surfing trend with unique prints and fabrics. Our designer add a few more snow-dedicated prints, inspired from our usual snow trip through Europe. We always take a look at Volcoms to get the right fits, look and feel, and at Roxy, great example in marketing and range structure, with inspiring prints too. 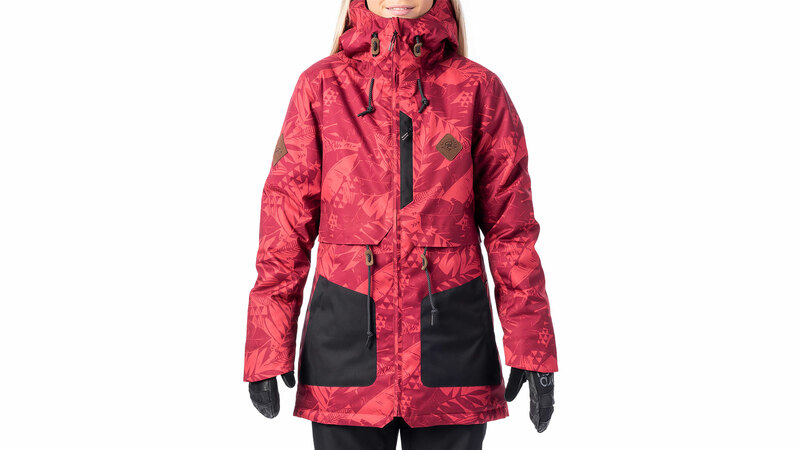 Ripcurl Amity Parka: We reduced the pricing to make that great-looking core product more accessible to the young snowboarder with Primaloft insulation and recycled fabric for a great-looking cross-over parka. The red floral print has been very well recieved, warmth guarantied thanks to the Primaloft recycled insulation. 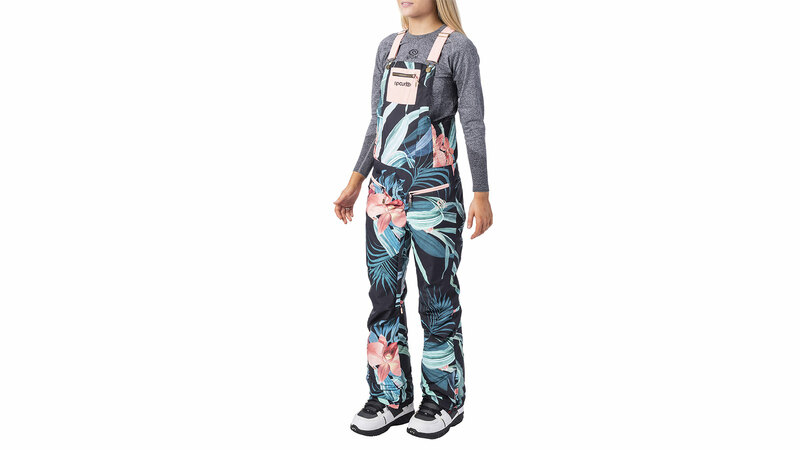 Ripcurl Belle Bib pant: Firts woman bib in our range, featuring our most successful Slim fi, 10K10K membrane and available in both plain and printed options, bib is trendy, our offer is both great looking and affordable for all riders. 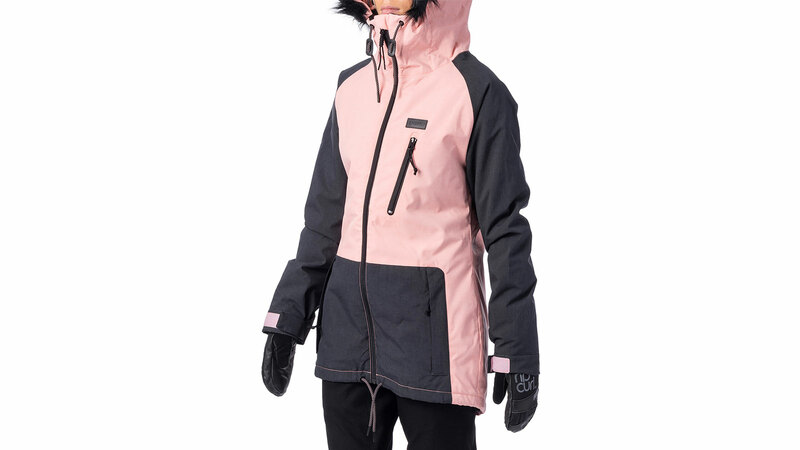 Ripcurl Annie Jacket: Easy-going light parka-style jacket, easy to wear and and off the slopes made in a textured fabric, great fit, look and feel, ideal to wear with the Belle bib pant. Some of our price points are up while a couple are going down, mostly due to some internal manufactures shifting. The Bib pant is our newest style, in a slim fit, together with a parka-style jacket. We are bringing 2 pastel colors (Yucca and Peach) to give our range a smooth, colorfull feeling without being to bright, and our main floral print (available on the bib pant) is very well received. We keep offering our client some extra warmth and comfort with an extended use of Primaloft insulation. This year and for the firts time we are replacing down in our puffer (The Fluffy) with the amazing Primaloft Thermoplume. Saving ducks, keeping maximum warmth and comfort. Search Series (recycled, durable and PFC free) products will be the main marketing stories, using the Parka style product as well as pastel colors. The floral prints on the Bib pant will be strongly advertised, stories will be around backcountry snowboarding and lifestyle, to showcase the cross-over possibility of our range.